Ambre teaches piano to all levels, from beginners to advanced. 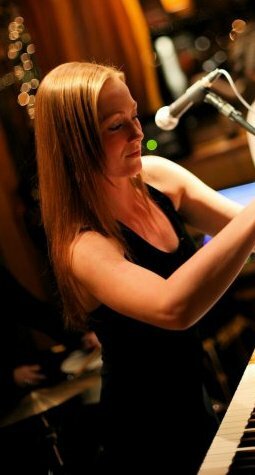 Her approach is primarily a jazz one, but she has a background in both jazz and classical. Ambre has a diploma in jazz music, including three full time years of University, studying jazz theory, composition, combo, performance, one on one lessons, ear training and history. Ambre is now finished her bachelor of arts degree in music therapy, which includes child development, how music affects the brain, musical applications for behavior and emotion, assessing different learning styles, communication and counseling as well as advanced private music instruction. She recently finished an internship, working with children with disabilities and elderly with later in life degenerative problems and is now working in that field alongside performing and writing. She has been teaching privately for eight years to various ages and learning styles, primarily to children. A core value in her teaching approach is to encourage enjoyment of piano. Where: Ambre’s home in Kitsilano or your home. Contact Ambre for more information.